On behalf of our conference advisory board, thank you to all of the delegates, speakers, sponsors, and moderators who attended the 2012 Western Canadian Healthcare Summit in Kelowna. This was without doubt the best Summit yet, and simply could not have been done without your support and participation. Your feedback is important to us as we continue to grow and expand this event. Please take a few minutes to share your thoughts and suggestions by filling out this brief electronic survey. 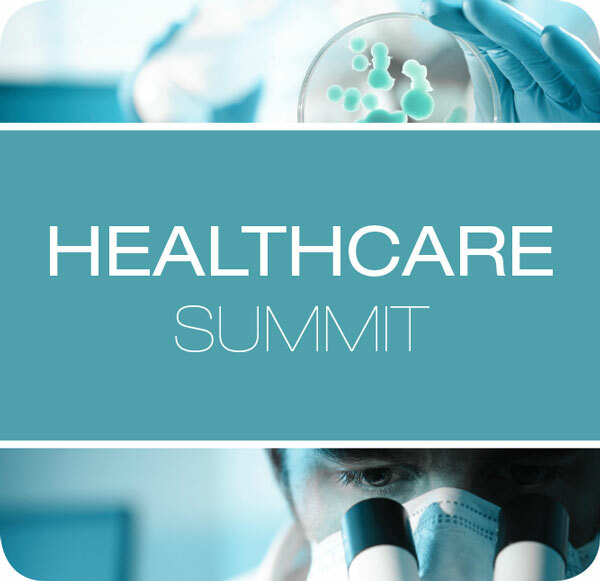 Mark June 24-25th on your calendar for next year – we hope to have the pleasure of seeing you in Kelowna at the 2013 Western Canadian Healthcare Summit. Visions for 2013: Where from Here? Mr. Alvarez is a leader in Canadian health care. He is known for taking on challenging mandates and building successful organizations. As President and Chief Executive Officer of Canada Health Infoway, he has been a catalyst for accelerating the development of electronic health records in Canada. He has established strong, collaborative relationships with the federal, provincial and territorial governments and other stakeholders as the foundation for solid progress. He has articulated a broad national vision for reforming Canada’s health care system through innovation and technology. On the international front, he has helped to position Canada as a world leader in health care renewal. Mr. Alvarez recently earned the Institute of Corporate Directors certification at the Rotman School of Management. In 2007 he was recognized as the 2007 National Builder Inductee to the Canadian Information Productivity Awards (CIPA) Hall of Fame for the leadership he has exercised throughout his career (with the Government of Alberta, the Canadian Institute for Health Information and at Infoway) in promoting the application of innovative technology to improve health care delivery for Canadians. Prior to his role at Infoway, Mr. Alvarez also played a key role in harnessing the power of information to improve health care. As former president and chief executive officer and ex-officio board member of the Canadian Institute for Health Information (CIHI), he helped CIHI evolve into a well-known and respected organization with strong ties to the research community. Mr. Alvarez is past chair of the National Health Information Council. He is a frequent speaker and facilitator at national and international health care conferences and is a past recipient of the Who’s Who in Healthcare Award. He is an honorary fellow of the e-Health Research Centre’s (EHRC) Advisory Committee of Australia, and a member of the Advisory Council of the Identity, Privacy and Security Initiative at the University of Toronto. Susan Antosh joined eHealth Saskatchewan as their Chief Executive Officer in January 2012. Prior to this Susan was the President and CEO for the Saskatchewan Association of Health Organizations (SAHO). Susan has twenty years of management experience within the health sector. She has significant experience in financial management and strategic financial planning, human resources and information technology in a complex public-sector environment. Jeff Barnett is an adjunct professor of health information science at the University of Victoria at Victoria (BC, Canada). He is also the Director of Clinical Informatics, at the British Columbia Cancer Agency, Victoria (BC, Canada). He holds a master’s degree in health information science from the University of Victoria. He has extensive experience as a project analyst; project team member and project lead in health care systems deployment in a variety of areas. Prior to his entry into the field of informatics he was a pharmacist with over 25 year’s experience. His research specialization is in the area of privacy and confidentiality, IT Procurement, data warehousing, computerized provider order entry and knowledge management. He has presented nationally and internationally on a wide range of topics relating to these research interests, and he has co-authored several papers in several health care journals. Jeff currently leads IBM’s Chronic Disease Management and Personalized Healthcare activities in Canada. He has over 25 years of management and project leadership experience, with fifteen of those years with IBM. Before joining IBM, Jeff held various IT management positions in the BC provincial government, focused on creating, operating and expanding electronic services for citizens. Since joining IBM, he’s held positions with local, national and global responsibility, and has worked in Canada, the United States, Australia, Europe and the Caribbean. Dr. Alan Brookstone is a physician and health IT evangelist with extensive international, provincial and regional experience in primary care electronic medical records and acute care clinical systems. He is a family physician with 25 years of medical practice experience in rural and urban practice settings. He is a nationally respected clinical expert in the adoption and use of information technology in medical practice settings. In 2004, Dr. Brookstone established Cientis Technologies (www.cientis.com), a Vancouver-based company with a mission to facilitate the adoption and use of information technology by clinicians. A wide range of tools have been developed to support two large online clinical communities in Canada and the United States with over 18,000 members. George Dranitsaris is an oncology research pharmacist with graduate training in pharmacoeconomics, biostatistics, decision analysis and clinical epidemiology. His areas of interest include the measurement of cost effective drug use in the oncology setting, cancer supportive care research, value based drug pricing, and the application of statistical modeling techniques to evaluate drug performance outside of the trial setting. He has over 100 publications in the national and international literature, is past president of the Canadian Association of Pharmacy in Oncology, a statistical reviewer for the Journal of Clinical Oncology and a member of the editorial board of the Journal of Oncology Pharmacy Practice and the European Journal of Hospital Pharmacy Science. Gary Folker is responsible for the strategic planning, ongoing development and growth of Orion Health in Canada. He draws from more than 30 years of experience pioneering healthcare technology in Canada and is ideally positioned to guide business development for the leading eHealth provider. Prior to joining Orion Health in May 2011, Gary was Managing Director for Healthcare with xwave (a Bell Company). In that role, he built and managed partnerships and propelled development of integrated healthcare solutions such as xwaveEMR, a hosted Application Service Provider (ASP) electronic medical record for primary-care physicians in Ontario. Gary has exemplary credentials that include spearheading the implementation of Canada’s first fully-integrated electronic patient chart; introducing into the country high-volume scanning of patient records; and creating the largest healthcare document-capture facility in North America. Gary has held various senior-management and executive positions, including Chief Operating Officer of a major Canadian health-informatics firm. He has directed development of technology solutions and expanded services that resulted in the introduction into Canada of many leading medical technologies. Gary is a CPHIMS-CA certified professional and holds a Bachelor of Science in Mathematics from Acadia University. Dr. Glover is president & co-founder of the Canadian Association for People-Centred Health (CAPCH). He is a life-long leader and visionary for a national health care system which puts the people at the centre while focusing not only on sickness but on health and wellness. In 2003 his people-centred vision for healthcare won the international contest “Design an American Health System”. As author of the book Journey to Wellness – Designing a People-Centred Health System for Canadians, Vaughan has committed to system change through developing stakeholder collaboratives, writing, blogging & advocating as a keynote speaker on health care’s most burning issues. Mr. Gombrich is responsible for the strategic direction and execution of NexJ System’s activities and success in the healthcare industry. NexJ is delivering the world’s first person-centric platform for healthcare, the Connected Wellness Platform. Mr. Gombrich has almost 30 years of experience in healthcare information technology and medical devices industries, having led organizations in their expansion efforts in the US, Canada, and around the world. Most recently serving as the CEO if EMIS Inc., the North American subsidiary of EMIS Limited, the UK’s largest EMR vendor, Mr. Gombrich has been successful in commercially building markets as well as successfully managing companies through clinical trials, ISO certification, and regulatory submissions. Mr. Gombrich’s experience extends across the entire spectrum of healthcare, having worked with acute, ambulatory, & primary care organizations, as well as payer organizations and governments. Ida Goodreau, MBA, is Adjunct Professor, Sauder School of Business and Director of Strategy for the Centre for Health Care Management. Ida has extensive executive experience in both the public and private sectors. From 2002 to 2009, she was the Chief Executive Officer of Vancouver Coastal Health, one of the largest health care organizations in the country, responsible for delivering health services to over 1.1 million people. She has also held senior positions in the forest sector (Fletcher Challenge, Norske Skog) and natural gas (Union Gas). Ida sits on a number of corporate and non-profit boards including Vancouver Foundation, Genome BC, Canada West Foundation, Justice Institute Foundation, Women’s Leadership Circle, as well as Fortis Inc, and Terasen/Fortis BC. She is a former Director of the Vancouver Board of Trade and Shell Canada. Ida has been selected as one of Canada’s 100 Most Powerful Women three times, has been chosen as the 2009 Consumer Choice Awards Vancouver Business Woman of the Year, and received a Business in Vancouver Influential Women in Business award in 2010. Rob Gramiak is a principal consultant in Avaya’s Healthcare Vertical with over 20 years of communications experience. He has been working with healthcare providers for the last several years to skillfully assess client communication needs, recommend business solutions and lead integrated solution development. As part of his roles he has been a product manager of new healthcare solutions that automate patient interaction and streamline clinical processes using voice and data communication. Rob holds degrees in Engineering, Master of Commerce in Marketing and Master of Business Administration. Program Medical Director, Surgical Services, Interior Health Authority of B.C. Dr Hamilton is an anesthesiologist working in dual clinical and administrative roles as a staff anesthesiologist at Penticton Regional Hospital and as Medical Director for Surgical Services in the Interior Health Authority of British Columbia. He also Co-Chairs the BC Provincial Surgical Advisory Council (PSAC). Dr Hamilton completed his medical training at the University of Manchester in the UK and his anesthesia residency at UBC in Vancouver in 1986. After satisfying immigration requirements, he joined the UBC Department Anesthesia at St Paul’s Hospital in Vancouver where he worked until 1999, serving as acting department head in the later years. Upon moving to Penticton BC, he functioned at various times as department head, President of the Medical Staff and Chair of the Medical Advisory Committee.In 2003, after regionalization and a review of surgical services in the new Interior Health Authority, he took on a part time position as Chair of the Regional Surgical Council which evolved into his current position with Interior Health. At the same time he started developing provincial links culminating in his appointment as Co-Chair of PSAC. Currently, he divides his time between clinical anesthesia and administration. His passion and goal is to improve the quality, efficiency and access to surgical services throughout BC by working collaboratively with physicians, hospitals, health authorities, ministry staff and the British Columbia Medical Association. With the cooperation of all these parties, strong foundations have been built but there remains much work to be done. In particular, his desire is to bring the needs of the patient to the forefront in efforts to improve surgical service delivery. He was recently awarded the designation ‘Certified Canadian Physician Executive’ by the Canadian Medical Association and the Canadian Society of Physician Executives in recognition of experience and on going education in medical leadership. In his spare time, he has completed three Ironman triathlons, the last one in 2011 with a personal best – older and faster! Owen Heisler MD, MBA, FRCSC, FACPE, FCCHL is Edmonton Zone Medical Director for Alberta Health Services having previously served as EVP/CMO of Vancouver Island Health Authority (BC) and VP Medicine David Thompson Health Region (Alta). Medical school, surgical residency and a Masters Degree in Experimental Surgery at the University of Alberta interspersed with an internship at Dalhousie University were the prelude to a busy 19 year general surgical practice in Red Deer, Alberta that preceded this administrative track. Dr. Heisler is a Canadian Fellowship (FRCSC) general surgeon who earned his MBA from Richard Ivey School of Business and his certificate in theological studies through Newman Theological College. Building on an EXTRA Fellowship from the CHSRF, Dr. Heisler has an interest in knowledge translation, ethics and evidence informed care pathways. He is an active member of the Canadian Society of Physician Executives (CSPE) and the American College of Physician Executives (ACPE). He was certified a health care executive by the CCHSE in 2006 (CHE) and Board Certified by CCMM in 2009 (CPE). Dr. Graham Hughes is the Chief Medical Officer within SAS Institute’s Center for Health Analytics & Insights. He is responsible for identifying and developing opportunities to create novel analytics solutions that help healthcare organizations improve care quality, clinical operations and patient outcomes. He has over 20 years’ experience developing and delivering innovative healthcare IT products and services and has a deep understanding of healthcare market dynamics, both in the US and internationally. Immediately prior to joining SAS in June 2011, he spent 6 years working as VP of Product Strategy and Chief Medical Informatics Officer at GE Healthcare IT, leading a customer facing advanced technologies innovation team as well as spearheading the annual strategic planning process for GEHCIT’s enterprise portfolio of products. Dr. Tom Karson is a senior physician informaticist and information technology leader with over 25 years of experience working at the forefront of healthcare computing in multi-entity, complex environments, implementing and executing strategies that improve and facilitate the effectiveness and efficiency of healthcare systems and research. Dr. Karson has founded research Informatics services in support of basic, clinical and translational research including the establishment of platforms, policies and governance for technology and data to facilitate research collaborations. He has also introduced and implemented Business Process Management tools to improve diverse scientific, operational and financial processes. Rizwan’s work in the 80’s at the PhD level in industrial psychology and computing science in the area of knowledge-based systems (Queen’s University) gained him early expertise in human factors and user interface design. Rizwan has led the development, deployment and management of customer relationship and web-based business intelligence systems at Knowledge Junction, ISM-BC, MPR Teltech, and Allied-Signal Corporation. Rizwan co-founded Knowledge Junction Systems in 1997, and successfully raised three rounds of venture financing. In his role as CEO and CTO at Knowledge Junction, he gained key expertise in starting a company, raising financing; working with equity investors, managing and operating the company, and setting a vision and direction for a company that grew to 40 employees over a five year period. In 2003, Rizwan joined an early-stage wireless software company, Mobile Operandi as co-founder and Chief Operating Officer responsible for the commercial operation of the Mophone service, for finance, technical recruitment, human resources. The company was successfully sold to a US venture capital firm in February 2006. Rizwan has been a member of the of the IRAP team as an Industrial Technology Advisor in BC since 2006 focused on the ICT sector (software, digital media, wireless, e-health, green ICT) and has assisted over 500 early-stage ICT SME companies by delivering technical, business, and operational advice to his clients’ CEOs to help them structure their companies, raise financing, grow their technological platforms and resource competencies, and commercialize their R&D results. He is currently a member of the Queens University Arts & Sciences Cabinet, the BCIT Computing Advisory Committee, and the BC Chapter of the Manning Awards Foundation. Rizwan has been an active participant as a mentor and judge to early-stage technology companies in the annual BCIC New Ventures BC competition since 2001. Lindsay Kislock joined the Ministry of Health as the Assistant Deputy Minister (ADM), Health Sector Information Management and Information Technology in July 2011. Lindsay provides leadership in the governance and strategic management of the health sector’s information and technology portfolios. Lindsay is also responsible for the operation of the Vital Statistics Agency, HealthLink British Columbia. Prior to this appointment, Lindsay held ADM positions with the Ministry of Agriculture, and the Ministry of Small Business and Revenue. Lindsay holds a Masters degree from the Evans School of Public Affairs, University of Washington, and a Bachelor of Business Administration from Lakehead University. Norm was elected as MLA for Kelowna-Lake Country on May 12, 2009 in the provincial general election and has previously served three terms on municipal council. Norm is the Chair of the Select Standing Committee on Health and serves on the Legislative Review Committee. Previously, he was on the Select Standing Committees on Public Accounts, as well as Finance and Government Services. He is also the President, Francophone Parliamentary Assembly, B.C. Section. Before being elected as MLA, Norm was a tenured Associate Professor in the business program at Okanagan University College which followed a 20 year successful career in business. In addition to his work as an MLA Norm is a Ph.D. candidate with UBC. His thesis focus is on Divisions of Family Practice. Norm is a strong advocate for our publicly funded health care system and believes every innovation should be measured on its ability to benefit Fred and Martha. Julie is responsible for product marketing strategies ensuring Informatica ILM solutions are aligned with the market needs and direction. Julie joins Informatica from the industry analyst firm ESG, where she served as vice president covering Big Data and data management best practices as well as managing the end-user consulting practice. Prior to joining ESG, Julie was President and Founder of CentricInfo, a consulting firm acquired by ESG, specializing in implementing Data Governance and Data Center Optimization programs. Julie also held various sales, marketing, and engineering positions at companies such as Solix Technologies, EMC, Oracle and Raytheon. Chris Mazurkewich was appointed as President and CEO of Interior Health (IH) in October 2015. Chris rejoined IH after spending four years at Alberta Health Services, most recently as Executive Vice President and Chief Operating Officer for the provincial agency. In this role, he worked in close partnership with the Chief Medical Officer overseeing the clinical operations of the Alberta health service delivery system, including about 100 hospitals, community and residential care programs, and support services. Prior to his move to Alberta Health Services, he was the Chief Operating Officer, Strategic & Corporate Services, for Interior Health from its inception in 2002 until 2009. Through his previous leadership roles, Chris has had the opportunity to manage most elements of the health system, engage with a broad range of stakeholders, and participate extensively in provincial committees. In partnership with clinical colleagues, he has always been committed to understanding the needs of patients, clients, and residents; and ensuring quality services are available to meet those needs. He holds a Bachelor of Commerce (Accounting) from the University of Saskatchewan, a Master of Administration (Health) from Central Michigan University, and a Chartered Accountant designation. Kevin McConnell is an IBM Senior Technical Staff Member & Chief Architect for Mobile Enterprise Services. He is an IBM Master Inventor with eight patents and over 40 patent filings. Kevin formerly served as a mobile strategist in IBM’s CIO office, and currently provides global leadership in the development and delivery of technologies to enable the “always connected” mobile employee. Kevin has 27 years in the IT industry with 18 years at IBM. He has a bachelor degree in Computer Information Systems and MBA in Global Enterprise Management. Kevin enjoys spending time with his family and is an avid outdoorsman and Boy Scout leader. Jitendra Prasad (JP) is the Senior Vice President of Contracting, Procurement & Supply Management. In his role JP is responsible for procurement of all goods, equipment & services as well as for distribution of products, warehousing, supply management and logistics. In addition to the above, his responsibility also extends to contracting for private continuing care beds, contracted clinical services, and relationship management with service providers. As Global Chief Medical Officer within Fujitsu’s Global Business, Lester draws on his combined skills and experience in clinical, commercial and health service roles. In his role leading the Fujitsu global healthcare programme, Lester drives the company’s strategic direction and market positioning in healthcare. He is responsible for engagement with clinicians across care settings, represents Fujitsu within international and national regulatory and advisory groups, and provides clinical input to business development activities. Appointed to his current role in 2008, Lester joined Fujitsu in 2004, bringing a wealth of experience of working in senior medical advisory roles and his practical experience as a GP with an enthusiasm for the utilization of ICT to improve healthcare. Whilst practising as a full-time GP in a large progressive NHS general practice in the early phase of his career, Lester originated and founded the e-consultation web-site, e-gp.com. During this 12 year period, he also successfully implemented a practice takeover and practice merger and drove innovation in the practice, setting up one of the first co-located complementary medicine centers. Today, Lester continues to practise as a part-time GP in the South of England. He holds an MBA from the Open University Business School, the Diploma of the Royal College of Obstetricians and Gynaecologists and is a member of the Royal College of General Practitioners. Brian Shorter is a seasoned information technology professional with a career spanning some fifty years in the IT/IM sector, of which the latter half have been as Chief Information Executive in large-scale health service delivery organizations. He has a successful track record in leading large, complex, multi-organization health informatics projects including three very large scale Clinical Information System implementations, gaining wide recognition as an authority on the Electronic Health Record, and as a subject matter expert on e-Health implementation. Mr. Shorter has proven success in health related strategic systems planning, IM/IT departmental leadership and organizational development. His breadth of experience in meeting complex business solution needs includes health informatics; decision support; strategy development for both acute and community based care; social services; stakeholder consultation and project management. He has had in-depth experience working with health care providers and the medical profession to develop joint frameworks for planning and deployment of information technology solutions both in institutional and in primary care settings. Mr. Shorter has an adjunct faculty appointment at the University of Victoria School of Health Information Science where he is an active lecturer. He has served as the President of COACH from 1992 – 1994 and was a Vice President of the International Medical Informatics Association 1997. Howard Waldner is the past President and Chief Executive Officer of Vancouver Island Health Authority, serving in this role from 2004 until 2013. He is curently CEO of Caledonia Solutions, a strategic consulting company he founded in 2013. He is a visionary and innovative leader with over 30 years of experience of managing health sysytems in both Canada and the U.K. He has a keen interest in system innovation, transformation and performance improvement. He is also passionate in the area of health facility planning, design and procurement and has led the development of number of large and successful hospital projects using both traditional and alternate funding approaches. He received the Canadian College of Health Leaders National Award for Innovation in Health in 2013. He is a certified member of the Institute of Corporate Directors, and currently serves as an Independent Board Director of Strata-Health Solutions, a successful Calgary based Health IT company, and is a partner with Prioritize Software, a Vancouver based strategic solutions company. He also serves as a volunteer member of the Telus (Victoria) Community Board and has served on a number of “non-profit” Boards, including the Canadian Institute for Health Information, the BC Academic Health Council, (which he chaired for 5 years), the United Way Campaign Cabinet, Carewest, VRRI, and the Greater Victoria Coalition to end Homelessness. Prior to joining VIHA in 2004, he was the Deputy Chief Executive and Executive Vice President and Chief Operating Officer for the former Calgary Health Region from 1999 until 2004. Before moving to Calgary in 1999, he held a number of senior leadership roles within the Scottish National Health Service, most recently as the Chief Executive of Dundee University Teaching Hospitals NHS Trust. He received his Executive MBA from the University of Glasgow, Scotland, and is a Certified member of the Canadian College of Health Leaders and a Fellow of the United Kingdom Institute of Health Care Managers. He is Adjunct Professor in the Faculty of Medicine of the University of British Columbia, and teaches on a number of executive leadership and masters programs in the School of Public and Population Health. Stuart Whitley is the Deputy Minister for Health & Social Services for Yukon since 2007. Before that, he was the Senior Regional Director for Justice Canada having responsibilities for Northern Canada. Prior to this, Stuart was Deputy Minister of Justice for the Yukon between 1995 and 2000. He was Assistant Deputy Minister for Manitoba Justice (1989-1995), Director of Prosecutions (1987-1989), and Director of Constitutional Law (1985-1987). Stuart was appointed Queen’s Counsel in 1989. He has conducted cases at all levels of courts in Canada, having been many times to the Supreme Court of Canada; most notably arguing the Quebec Separation Reference on behalf of Yukon, one of the Intervenors. Stuart received his B.A. (with distinction) in 1970; his LL.B. in1973, from the University of Manitoba, and an LL.M. in 1983 from Dalhousie University. Stuart has taught Business Law at Red River College in Winnipeg and Constitutional and Criminal Law at the Faculty of Law in Manitoba, Law & Ethics for Administrators at the Faculty of Education, (1986-1994) well as an Introductory Law courses at Yukon College, and Law and Policy at University College of the Fraser Valley. He has written numerous articles, including a major research paper while a Fellow of the Chumir Foundation for Ethics and Leadership in Public Office, in 2000. His most current article is with the Criminal Law Quarterly (February 2010). In 1984 and 1989, he published textbooks in criminal and constitutional law. In 1994 and 1999, he produced two novels, the most recent of which won an award in Manitoba for best historical fiction of 2001. He is at work on his next novel. Graham Whitmarsh brought 17 years of international business experience to the BC Public Service when he joined in 2007. He has had an extensive and successful international business career in Europe, the United States and Canada. His skills as a CEO and senior executive have been applied in the software and airline industries including British Aerospace, Sabre Airline Solutions, Mercury Scheduling Systems, and Harmony Airways. Graham began his career as a Nuclear Submarine Officers in the Royal Navy following his BSc Hons in Engineering from the University of Leeds. Graham was recruited in April 2007 as the Head of the Climate Action Secretariat to bring his innovative perspective and leadership skills to the global challenge of climate change. In January 2009, Graham was appointed to the position of Associate Deputy Minister of Revenue, to facilitate the successful integration of Revenue into the Ministry of Finance. On April 1, 2009 Graham assumed the position of Deputy Minister of Finance and Secretary to Treasury Board. On March 14, 2011 Graham was appointed to the position of Deputy Minister, Ministry of Health. Healthcare leaders from the Yukon, Alberta and British Columbia will share their stories of challenges and visions in the search for effective and efficient healthcare delivery throughout Western Canada. • Presentation Files Transforming Healthcare Is it enough? Transforming Healthcare – Is it enough? Healthcare is in crisis almost everywhere across the world. Expenditure is out of control, the challenge of complex, lifelong conditions continues to rise unabated and healthcare systems seem uniquely resistant to change. How do we escape from this impending disaster? Drawing on perspectives from clinical practice, the commercial world and health service management, Dr Russell will set out the background to the healthcare crisis and propose some practical solutions. He will examine the role of connections between healthcare settings, the rising power of the consumer and the latest medical technologies as a “perfect storm” of drivers for a period of fundamental transformative change in healthcare. Finally, he will pose the question – if we do all of this and do it immediately, will it even be enough to avert disaster in our health services? Presentation Files Transforming Healthcare Is it enough? Healthcare is one of our biggest public sector spenders, but what’s new about procurement? Well – in fact quite a lot’s been going on that’s worth the telling. The search for excellence is pretty well behind us; consolidation and centralization have been accomplished. This panel will look forward to what the future has in store; how innovations in procurement are leading to new service-oriented approaches to corporate procurement; how vendors are striking innovative new relationships with consumer agencies to create win-win results; and how the front-line management experience has evolved. • Presentation Files Bending the Cost Curve – In the Right Direction! As pressures on the healthcare system grow from escalating demand and costs, Innovation provides the great hope for a sustainable solution. Innovative initiatives, however, have often added, rather than reduced, overall expenditures. Our challenge is to introduce innovative discoveries, technologies, and policies in a way that improves quality and outcomes, while bending the cost curve downward. Taking a whole-system perspective to innovative change offers a pathway to translating theoretical benefits to desired real- world results. Presentation Files Bending the Cost Curve – In the Right Direction! With the explosive proliferation of mobile devices both in the consumer marketplace and in the business workplace (the iPhone was not even around 5 years ago) the opportunities for the use of this technology within healthcare to minimize errors, increase productivity, and eventually to drive down costs significantly is very promising. However, the cost reduction opportunities create a number of new challenges on the human side, on workflow integration, and the IT management side. This strong panel of mobile healthcare industry experts will describe and discuss some of the key opportunities and challenges in the trends occurring with “bringing your own devices” and the influx of new enterprise IT systems into the healthcare workplace. Areas of discussion will include mobile device management, workflow integration, and also the use of these enabling technologies by consumers outside healthcare institutions. Examples will be described of where the use of mobile technology is succeeding in healthcare contexts. A paradigm shift is coming in the next decade. Individuals are being empowered and taking responsibility for their own health and wellness. The transition from a provider-centric health system to one that puts the patient first is already upon us. This panel will explore the topic from a variety of perspectives including: grassroots advocacy for a new healthcare system focused on wellness; advances within the current healthcare system; and innovative solutions that will facilitate the critical transition. With rising healthcare expenditures and increasing pressures to deliver faster access to quality care, the shift to patient-centric care will bring necessary and timely change to the health sector. CEO, Cambian Business Services, Inc.
Dr. Bruce Forde leads Cambian’s initiatives to transform the health system using innovative information technology that enhances care delivery and improves patient outcomes. Cambian is introducing solutions in collaboration with application vendors, healthcare organizations, and integrated care delivery networks. Bruce is currently leading an initiative to upgrade surgeon office systems to support surgical waitlist management and clinical data exchange. He is also actively involved in initiatives that will accelerate the integration of physician Electronic Medical Record (EMR) systems with selected Electronic Health Record (EHR) information services. Over the past 25 years, Bruce has held various senior-management and executive positions at international systems engineering and information technology companies. Bruce has led the development of integrated practice management and electronic medical record applications in Canada and USA. Throughout his career he has enjoyed opportunities to work with talented teams on innovative technologies and products. He is passionate about the introduction of patient-centric solutions that will play an integral part in the future of health and wellness. Bruce holds honours Bachelors, Masters, and Doctorate degrees in Applied Science from the University of British Columbia. He is an NSERC and DAAD scholar and studied at the Universität Stuttgart in Germany. In his address, Richard Alvarez will discuss why it’s essential to bend the healthcare cost curve, and the role health informaticians can play. He will also talk about the significant benefits that are already being realized across Canada as a result of the implementation and use of information and communications technologies for health. And, he will provide insights into the national health IT strategic review and describe the opportunities for future direction that have been identified. The historic Jeopardy! match held in February 2011, featuring IBM Watson, continues to generate an unprecedented level of interest in its implications for Healthcare. IBM has made significant inroads over the past year, along with some leading Healthcare partners, to leverage the computational power of IBM Watson and its natural language processing with a goal to develop outcome and evidence-based decision support systems. Jeffrey Betts, a business development executive with IBM's national Healthcare team, will address a Watson-enabled future where technology can help Healthcare organizations turn clinical and business data into actionable insights for better outcomes. Jeff will discuss IBM's progress with its Healthcare partners, providing an overview of how IBM Watson has been targeted to process natural language and complex meanings to support clinical decisions, based on the ability to rapidly process large volumes of structured and non-structured clinical data, including clinical literature. The ability to effectively analyze and use the massive volume of data that is being collected is becoming a key factor in healthcare delivery. Innovation, productivity and competition will all be impacted by the use of big data. How can this power be harnessed? What are some of the key issues and who is providing the solutions? This panel will address Big Data in the healthcare sector and the implications for service delivery and patient care. Rachel Debes is a research associate within Infectious Disease Insights who joined Cerner in 2011. She performs statistical analyses and data summaries utilizing multiple statistical platforms and programming languages. Her efforts focus largely on the HIV Outpatient Study and the DC Cohort, two open longitudinal databases of HIV+ patients, with more varied applications in Cerner Health Facts® and similar health-related databases. She also consults with partners on public health techniques in health care settings. Prior to joining Cerner, she served as a research assistant at the University of Washington, focusing on HIV transmission rates and informative missing data. She earned her bachelor’s degree in mathematics from the University of Kansas and her master’s degree in biostatistics from the University of Washington. Protein based therapies or biologics are distinct from small molecule drugs in that they are larger and more structurally complex. While the overall risk is modest, the active protein structure characteristic of biologics makes them more prone to induce an acute and/or chronic immune response. Biosimilars are a new class of drugs intended to offer comparable safety and efficacy to the reference, off-patent biological. They are not generic alternatives per se and are not interchangeable. Given their structural complexity, multifaceted manufacturing process and risk for immunogenicity, unique regulatory pathways are required for biosimilars. In this session, we will review the clinical, safety and submission requirements for biosimilars in Canada and globally. We will also highlight issues of ongoing debate amongst the key stakeholders. As the leader of biosimilars drug approval and product uptake, the European Union will be highlighted. How do we build on the successes of the past and continue to overcome the challenges of the future? How will innovation transform healthcare delivery and bend the cost-curve? Healthcare leaders from Western Canada share their views and visions for 2013 and beyond. 12th Annual Healthcare Conference is proudly sponsored by the following companies.